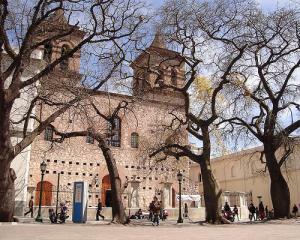 There are a lot of things you can see and to do down in Córdoba. Check out the links to the left—we’ve divided things between the City and the Sierras. Córdoba has several alternative cinemas, or “cine clubs,” which show independent and art films and have themed weeks (French cinema, anyone?). There is also a Cinemark with major Hollywood movies. A fabulous website for finding weekly activities in Córdoba (concerts, cinema events, shows, art shows and more) is Cordoba.net. “Pinturas para tocar” is one art show, and there is a complete guide to all the different art shows throughout the city with addresses and end dates; many are free. Live music is common at bars and clubs throughout the week. With reggae music, punk, folklore, tango and lots more, there’s something for everyone. Many of these shows begin around 11 p.m. or 12 a.m. – the perfect way to pass the hours until it’s boliche time. This page rendered in 0.851 seconds.